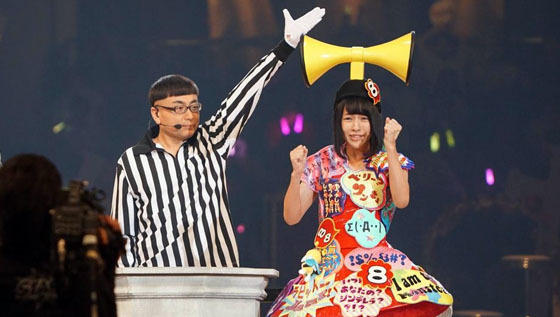 Should Team 8 form a Unit "Team 8" for Janken? Yes or No? All AKB48 Team 8 members held an unofficial online meeting in SHOWROOM on 26 July 2017, the meeting was to discuss if they should form a unit "Team 8" for upcoming AKB48 group Janken Tournament. 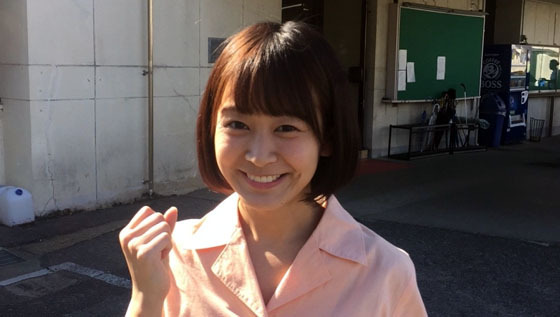 AKB48 Team 8 member Ota Nao will appear in TV Asahi TV series "Dr. Hikojirou 3", the new drama will begin airing on 20 August 2017. 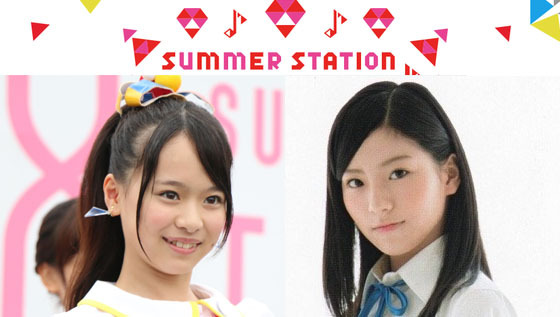 AKB48 Team 8 and SKE48 Team E will participate TV Asahi's music show "SUMMER STATION Music Live", the event will be held in Roppongi Hills Arena from 16 July 2017 to 20 August 2017. AKB48 Team 8 announced they will hold their annual concert "Eight no hi", it will be held in Nagoya Century Hall on 8 August 2017, the news was announced on radio show "AKB48 no ANN" at 29 June 2017. AKB48 Team 8 will have a collaborative project with Japanese baseball team "Tohoku Rakuten Golden Eagles", they will be guest for their upcoming home game vs Fukuoka SoftBank Hawks in Rakuten Kobo Stadium Miyagi on 1 July 2017. 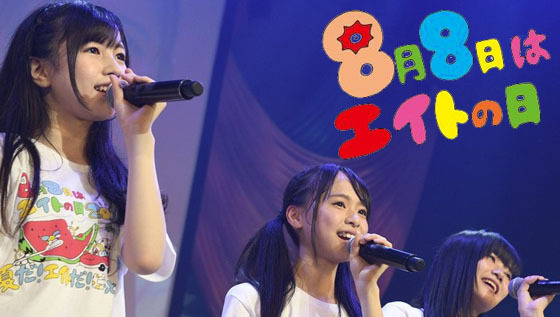 Kyoto Toyota PRESENTS AKB48 Team 8 Ota Nao no Everybody?? Challenge!" episode 1. 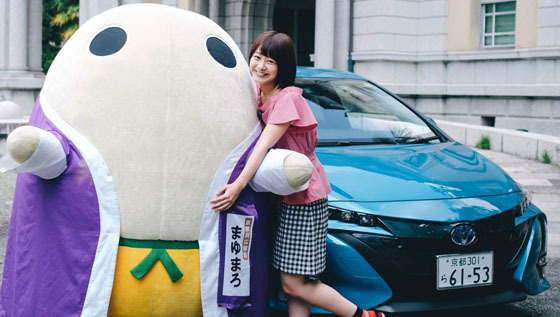 AKB48 Team 8 member Ota Nao has TV CMs for Kyoto Toyota, she is representative of Kyoto for Team 8. AKB48 Team 8 members will be cover girls of manga magazine "Weekly Shonen Sunday", it will be released on 14 June 2017. 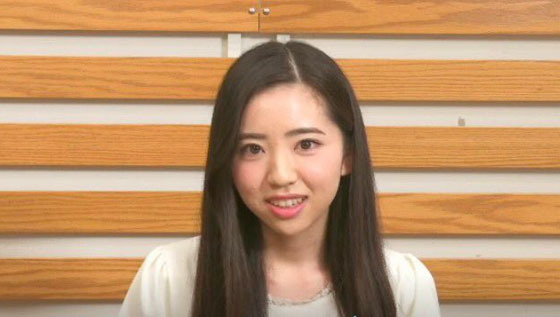 AKB48 Team 8 member Hamamatsu Riona announces graduation on SHOWROOM LIVE at 12 June 2017, her last handshake event will be on 24 June 2017, and her graduation LIVE will be on 2 July 2017.